As 2012 comes to a close we at Royal Deer Design would like to share with you our year-end round up of accomplishments as well as our goals for 2013. 2012 proved to be a year of tremendous growth for our company and its portfolio, allowing us to strengthen relationships with past clients and form meaningful relationships with new ones. BDA LLC: A multinational corporation, BDA LLC needed assistance designing a website for one of their investment banking companies. Their website required multilingual capabilities as the investment banking company’s services are available in Asia, Europe, and the United States and needed to be easily understood by consumers around the world. Analystinstitute.org: Working with this analytics company, RDD helped create a secure and complex web-based communication exchange system. Yale University: RDD helped design and implement a large conference registration system hosted by The Yale International Relations Association (a 501c3 non-profit entirely student-operated organization headquartered at Yale University). MaxximaStyle: This Long Island based lighting company was in need of an e-commerce website that would allow consumers to not only learn more about their products and services, but also purchase products of interest. The James O’Reilly Group, LTD: This cabinetry and millwork company worked with RDD to develop a consumer-friendly website that provided potential consumers with information about services offered, a gallery of past projects, and a button that quickly and easily leads those interested to a quote. Areté Music Academy: RDD created this multifaceted website to allow both interested students and parents, and already enrolled students and parents, to easily stay up to date with the latest academy news, upcoming events, available programs, and general information about all Areté Music Academy’s offerings. Events Linked Live: This website helped ELL better reach their audience as well as potential new clients. This site showcases various aspects of ELL’s offerings, including products and their blog. The website also helps quickly and easily link viewers to various social media outlets where they can get better connected with ELL personally. However, we did not only design websites in 2012. This year we also worked hard to continue providing SEO services and website maintenance to some of our long-term term partners like TheHookUp and Organice Your Life. We worked closely with these businesses to ensure that their ventures remained profitable and visible to the online world. Here at Royal Deer Design we have always prided ourselves on working with the most efficient and advanced web design technology. 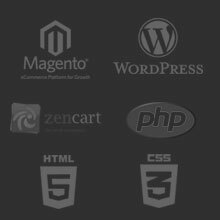 2012 was no different as we focused on building websites using high quality WordPress and Magento eCommerce CMS platforms. By utilizing these two platforms we were able to deliver the highest quality websites to our clients’. Our goal in 2013 is to continue growing our expertise on these platforms in order to ensure that our clients’ are always receiving the best possible services. Though all of our websites and SEO campaigns proved successful this year our biggest achievement was the dramatic increase in traffic to OrganiceYourLife.com. Over a period of just 12 months RDD helped increase traffic to this site by 600%, making it receive over 12,000 monthly visitors. In addition to increasing traffic, RDD also helped to more than double the Facebook likes on the Organice Your Life’s Facebook page. Because of this Organice Your Life was able to establish a stronger brand platform and have heightened communication with users not only via their website but through various social media outlets. 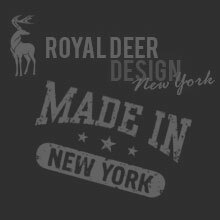 Royal Deer Design is currently working with new clients on projects that will be finished and pushed live in 2013. With this we hope to expand our team and services offered. What does this entail exactly? Well, our hopes are that in 2013 RDD with be able to expand its’ hosting services to clients and increase training outlets to ensure that clients always stay aware and understanding of the latest website trends. The online world is ever changing and is moving faster than any other medium the world has ever seen before. We look forward to the updates and changes it brings to us in 2013 and are excited to work with our clients to incorporate them.